Eight Days A Week was written as a potential title song for The Beatles' second film. 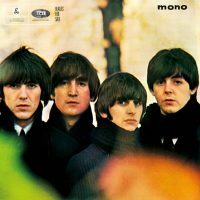 In the end it became an album track on Beatles For Sale, although Capitol released it as a US single in February 1965. I think we wrote this when we were trying to write the title song for Help! because there was at one time the thought of calling the film Eight Arms To Hold You. John Lennon later voiced his dissatisfaction with Eight Days A Week, framing it negatively along with the film. Help! as a film was like Eight Days A Week as a record for us. A lot of people liked the film, and a lot of people liked that record. But neither was what we wanted – we knew they weren't really us. We weren't ashamed of the film, but close friends knew that the picture and Eight Days weren't our best. They were both a bit manufactured. Its relegation to the album occurred once John Lennon came up with I Feel Fine, the riff of which he toyed with several times during the main recording session for Eight Days A Week. The initial idea for Eight Days A Week came from McCartney, following a remark from his chauffeur. I remember writing that with John, at his place in Weybridge, from something said by the chauffeur who drove me out there. John had moved out of London. to the suburbs. I usually drove myself there, but the chauffeur drove me out that day and I said, 'How've you been?' – 'Oh, working hard,' he said, 'working eight days a week.' I had never heard anyone use that expression, so when I arrived at John's house I said, 'Hey, this fella just said, "eight days a week".' John said, 'Right – "Ooh I need your love, babe..." and we wrote it. We were always quick to write. We would write on the spot. I would show up, looking for some sort of inspiration; I'd either get it there, with John, or I'd hear someone say something. Curiously, McCartney had previously remembered the quote as coming from Ringo Starr. Take one was played straight, no frills, on acoustic guitar. On take two John and Paul introduced a succession of beautifully harmonised 'Ooohs', climbing up the scale, to precede the first guitar strum. On take three they merged the two ideas, 'Ooohs' and acoustic guitar. On take four the 'Ooohs' were altered to remain on the same pitch throughout rather than climbing the register. Take five incorporated 'Ooohs' at the end as well as the beginning. Take six took the shape of the released version but did not have the faded intro or outro. A sequence taken from takes one, two and four from the 6 October session was included on Anthology 1, along with the complete take five – which ends with a vocal harmony passage. The Beatles added a succession of overdubs and edits to take six; these were numbered takes 7-13. Two further edit pieces, for the song's beginning and ending, were recorded on 18 October, although the first of these was never used. Eight Days A Week was the first pop song to feature a faded-in introduction. This was completed during a mixing session on 27 October. Although Eight Days A Week was a huge hit in America, The Beatles evidently didn't rate the song highly, for they never played it live – although they did mime to it during an appearance on the television programme Thank Your Lucky Stars. The US single was released on 15 February 1965, with I Don't Want To Spoil The Party on the b-side. It entered the top 40 on 27 February, and remained at number one for a fortnight. Altogether the single spent nine weeks in the top 40. John sings lead (double-tracked) and Paul sings harmony. George does not sing in this recording. George DOES sing harmony vocal on this. Listen closely to it. It´s definitely John and Paul , with no George on vocals. Where would it be ? George Harrison sings the backing on the “Eight Days A Week” part. The fade-in of the acoustic guitar line at the beggining’s just so beautiful sounding. I pretty sure it’s John and Paul together on vocals for the most part. Paul’s chauffeur comments are curious. But, of course, we all know The Beatles often remembered things wrong later on. Perhaps it was Ringo sounding like a chauffeur and Paul remembered it wrong later that it was a real chauffeur. Or perhaps it was a real chauffeur and Linda got it wrong so Paul just went along with it so he didn’t make her look dumb. I think it’s the latter. Who knows? I remember a long time ago hearing about Paul’s comments about a conversation with a chauffeur where the title Eight Days A Week originated from. What I meant by a “long time ago” was that I heard or read of the chauffeur reference years before the Anthology series. I saw a movie (released in June of 1964) recently called, “For Those Who Think Young” and was struck by the fact that the line, “eight days a week” was used in passing. Just seemed interesting that the future title of a Beatles song appeared in a popular (and rather silly) movie that was released before John or Paul heard the line from the chauffeur (I assume). Maybe the driver had seen the movie and hijacked the line himself! …just a thought…. I tend to think Paul just didn’t want to correct Linda, or simply misremembered. It’s funny seeing these little thrown-off comments endlessly quoted and picked apart, because of course to them when they’re saying it, they’re not thinking of it as the inspired word of the Beatles, they’re just talking and trying to remember and probably not caring that much if it’s exactly accurate or not. Another great, early bass line, right up there with All My Loving. Well, Paul opened up his first show of the current tour with 8 Days A Week. I guess The Beatles played the song live ONCE, which brings me here. I was trying to see if there was any existent audio of it. The Beatles never played it live as far as I know. Not even for TV or radio. This song and Every Little Thing is a classic example of my frustration of under estimating Paul . Clearly he wrote both songs. Clearly he duets with John. When they blend there voices on the melody, It does sound like one singer.Usually John because he has the raspier voice. Agreed. John and Paul sing together throughout on both this track and on “Every Little Thing”. There isn’t ever a place in both tracks where John and Paul sing without each other. I don’t think I would ever try to convince anyone that these two are among their “best songs”, but I love the recordings of both. Arrangements, vocal and instrumentation, are wonderful on both. And frankly, I wish they would have used the vocal intro and ending on “Eight Days…” instead of the guitar. I second David’s comment. I would also like to add that by my observations McCartney’s vocal sounds clearer on the stereo version of the song when he’s singing in unison with Lennon than on the mono version. I would suggest the editor of this page listen to the vocals carefully on the stereo version and reconsider McCartney’s vocal role on the song even if (s)he ultimately disagrees with me. Was the Anthology version the single in US??? that because I’ve heard a billboard compilation of that year and the song featured there wasn’t the song of Beatles for sale… instead it was the Anthology version. Why do you say the song is principally song by John? Its a duet. A rare example of an early Beatles stereo mix being better than the mono. I wish they’d kept the “oooooh” intro and outro of the earlier takes, it’s even more Beatle-ful with John’s and Paul’s blended voices. When I play this song, I always start and finish with the “ooooooh”s. Either way though, this song makes me happy. Anybody else here squeal “I love this song!” for the billionth time every time they hear it? Yes, it is a very very happy song. Always loved this song. I always found it interesting how John regarded some of his songs. He thought this song was bad, but in my opinion its fantastic. One of many of the Beatles tunes that have a great melody. You can sing it a capella easily, a very catchy melody line. Sing it to my young children all the time. Some of John’s issues with this song stemmed from struggling to hit the high notes. He was quoted as saying it was a really difficult recording session. I just think John had a real attitude and many of his comments are just him trying to be cool. He has a hard time giving praise to Paul. I tend to assume that John was thinking primarily of the lyrics, which are indeed pretty terrible. But the track’s so infectious and swaggering and shimmering that they’re easily overlooked. Great song title too. McCartney’s idea. John sings in unison with himself in the verses, this is espcially apparent in the first “hold me, love me”. John and Paul all the way through. Paul has quite a bit more lead vocals than you might think! He’s definitely singing with John on the verses, and sometimes the most noticeable voice. For example, listen to the final “One thing I can say, girl” lyric, and you can hear it’s Paul through and through! I owe you an apology for the tone of my initial comment from a couple of years ago. When I wrote it, I had only been aware of this website for a short period of time and I did not realize that you were the site’s creator and administrator. Having had the time to explore your website more thoroughly, I want you to know that I greatly respect and admire your dedication to your subject, your openness to differing viewpoints and your fair-mindedness in terms of the roles that everyone involved in the story of the band played. I have seen this balance of qualities in only a relatively few other writers who have covered the subject of the Beatles, and I appreciate your work here no less that anyone else who visits this site I am sure. Having said that I am going to beg you on bended knee to reconsider McCartney’s vocal role in this particular song and I will give my reasons for doing so. Although the song was essentially co-written with Lennon, according to most reliable sources McCartney was the primary instigator. And since the policy concerning vocals was that whoever was the primary songwriter for a specific song would be the lead vocalist, there is no valid reason I can conjure for McCartney not to have shared the vocal with Lennon. And indeed I have no personal doubt that he did. Although this is not one of the band’s songs I personally hold in the highest regard, I listened to it several times for the sole purpose of verifying the vocal roles of the band members. I can see why some people may find Lennon’s voice more prominent in many cases where they share the lead vocal probably due to the more nasal quality of his voice, but that does not render McCartney altogether inaudible. In fact his own phrasing is quite noticeable in certain passages of such songs. And if you could make out his voice on songs such as “Every Little Thing” and “Little Child” and perhaps more famous ones such as “I Want To Hold Your Hand” (since you credited both Lennon and McCartney as sharing lead vocal duties) why not this one? I personally feel that the stereo mix brings out the balance between their vocals more evenly than the mono mix does. If you listened carefully I think you could make McCartney’s voice out alongside Lennon’s on lines such as “Ain’t got nothing but love babe…” and “Love you every day girl…” At such points his voice comes through clearly enough to the point where I cannot see why one would not notice. Also as an aside, I am in agreement with those who claim to hear Harrison on the song. My own observation was that on the line “Eight Days a Week” as sung at the end of every chorus, Harrison would sing a fourth lower than Lennon and McCartney who doubled the melody line. I did not hear him at any other points in the song however. I hope my comment does not come off as too excessive. I am not trying to start any flame wars with anyone and I know that you often find Lennon vs. McCartney debates tiresome especially when they don’t rely on substance (I do too), but I wrote this comment because I strongly felt that your description of McCartney’s vocal role in this song was incorrect. However you may feel about my perspective, I hope you did not find anything disagreeable or inappropriate about it. Hey Richard, no need to apologise! I couldn’t see anything wrong with your previous comment. Disagreement and debate are healthy. I’ve changed the line-up to credit Lennon, McCartney and Harrison with vocals, but taken out the lead/harmony distinction. It’s not always helpful to put one person above the other, and I’d actually rather have the listener make up their own mind. Thank you very much for taking my viewpoint into consideration Joe. Hopefully someday I will be able to contribute more to your site than mere attempts at counterbalance here and there. Love this song as it is just so catchy. Wonderful intro. Basically a Lennon song, even though he never thought much of it. I remember it so well from the radio and first got it when I obtained a copy of “Beatles For Sale” album. This song was of course a US number one. I had always thought of it as a Lennon song, but obviously was originally McCartney’s idea and then a collaboration. There’s a lot of discussion here about whether Paul doubled John on the melody of the verses. I just went back and listened to takes 2, 4 and 5, from the Purple Chick Beatles for Sale, to see if they might help clarify things. Take 4 breaks down before the verse; on both takes 2 and 5 the verses are definitely doubled. More to the point, on take 2 they are doubled even though the song breaks down after about a minute. I tend to think they wouldn’t have bothered overdubbing a second John vocal on a take that had broken down, supporting the idea it’s John and Paul in unison. Take 5 is a complete take, but again it sounds like the same Paul + John vocals with no vocal overdubs, to me. The final take does have overdubs, but I think the Paul + John unison lead vocal is still the core. And, FWIW, despite what Lewisohn says, the introductory “oohs” on take 2 don’t climb the scale. Paul holds on an F# and John does a mostly descending line not unlike the bass line in shape (F# E D A G#— B— A—). Very catchy song. I always really liked it, start to finish, John’s pooh-poohing notwithstanding. Joe, there´s no George vocal here. Only John and Paul, almost all the way in unison, opening the harmony only in the bridge and in the chorus “eight days a week”. The other examples of that unusual blending of Paul´s and John´s voices are I Want To Hold Your Hand, From Me To You, Misery, Every Little Thing , I´ll Get You and Little Child. They sing almost the entire melody together, opening thirds here and there. In a 1993 or 94 Guitar World magazine, there was this article on Beatle Lessons where they described and printed in pentagrams and tabs the intro to this song and there were 3 guitars in it. By hating it, John did not notice they had accomplished a Great arrangement in that faded in intro. Why is John always so negative about most Beatle songs, especially Paul’s? Good answer Axel. But am I wrong just looking at most of John’s comments on the songs he’s 90% negative and even on his own material. I guess that justifies it. Axel gave you the answer. But, this song was create by John and Paul, no? I don’t know why John was so negative with a lot of Beatles songs, like “It’s only love”. “Eight Days a Week it’s a song that i really like, and it’s a shame that i didn’t find a live presentation of this. Paul: John said, ‘Right – “Ooh I need your love, babe…” and we wrote it. Veddy interesting. That sounds like Paul came up with the title but John spontaeously came up with the opening line and melody? I saw an interview from 1965, Paul and some newspaper reporters. Paul said the original title was 8 times a week, meaning make love 8 times a week. 8 times a week? Yeah, Paul said everyday and twice on Sunday. He was being real cheeky with the reporters. If you substitute 8 times a week for 8 days a week it makes sense.